I’m joining Hannah at Joyful Life (her first time hosting!) for the Currently link-up series. I love connecting with y’all, visiting new blogs, hearing from you, and growing community. Join us! Thinking about my decision to stay home with my kids this school year. It’s hard – not that I’m surprised – and it’s rewarding. I love it and struggle with it all at the same time. I know that I won’t regret this decision to spend the extra time with them, but it’s also been difficult to find any sort of routine to balance quality time with them, time with Hubby, and time to keep the house, cook, grocery shop, etc. If you’ve got it figured out, send some suggestions my way! Listening to the sounds of J lolling his tongue around in his mouth. He’s got a lot of “la la la la la” going on! Doing is a little difficult to tell y’all about without taking all day, but Hubby and I are doing some purging/cleaning/reorganizing/etc in the midst of our deciding whether to stay in our home, renovate/add on, or move. We are praying for major wisdom in this area; we want to make the right decision for our family and for hopefully 10 or 15 years. This is a life move, y’all. Thankful for the crisp fall weather and the sunshine that’s been accompanying it (for now). The kids and I have been spending a lot of time outside, enjoying the weather. We are also thankful for our deck – it’s a great space to enjoy the sunshine and the breeze! 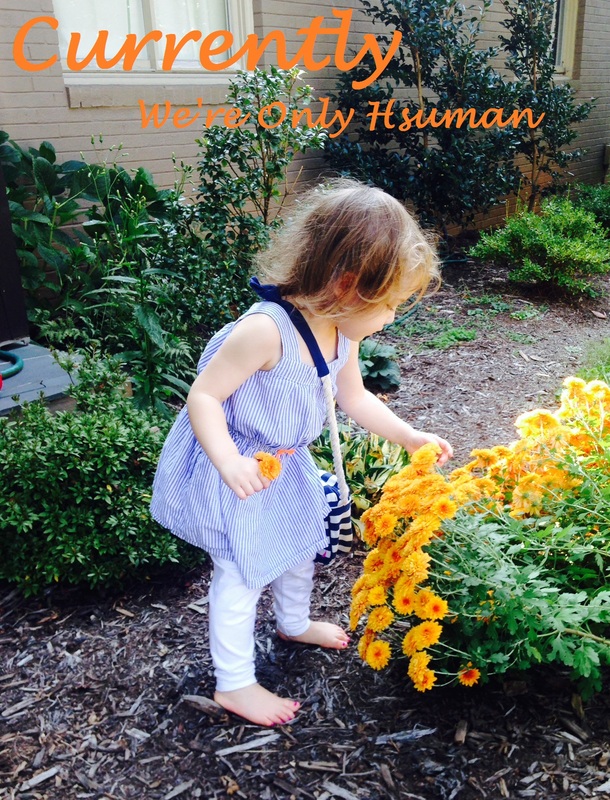 Thank you so much for linking up Whitney! We just renovated and Im so glad we decided to stay in this house as im really starting to love it, really did not love it before the renos!! Its a big decision for sure! Praying for wisdom!